Non-Lin / Lin was an invited commission by the FRAC Centre to create a new environment that merges digital and analog modes of experience. 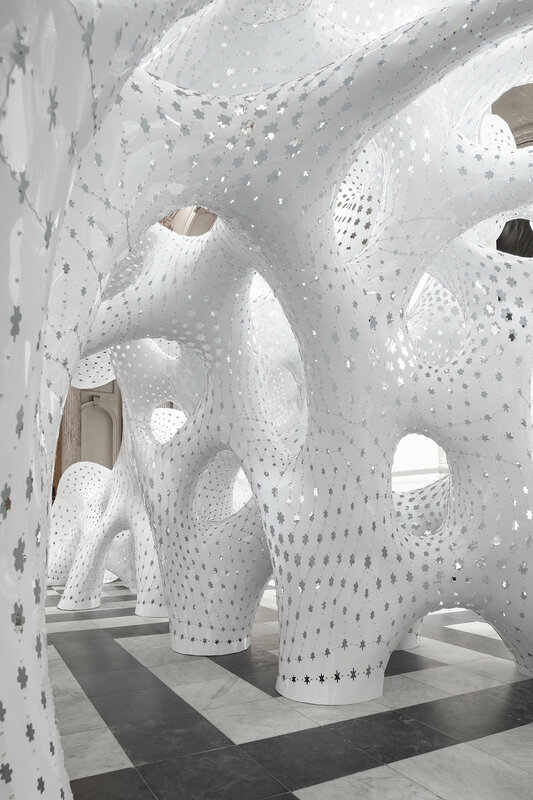 Produced in 2011, nonLin/Lin represents an early prototypical work in mesh description that has been further refined into large scale constructions and architectural environments over the past years. For five months in 2018, nonLin/Lin is out of storage and once again on display to the public— this time at the Grootseminarie in Bruges for its second Art and Architecture Triennial. For the summer, nonLin/Lin will occupy the nave of Bruges’ Grootseminarie, a 17th century Cistercian Abbey. Triangular in plan, the piece twists and unfurls along the main axis of the sanctuary. Upon approach, you can’t quite determine the structure’s depth; you must wander through its thicket of porous branches to understand its scale and depth. Openings between connecting parts filter the light that spills through the clerestory above, alternately projecting shadow and dappled light onto its interior. 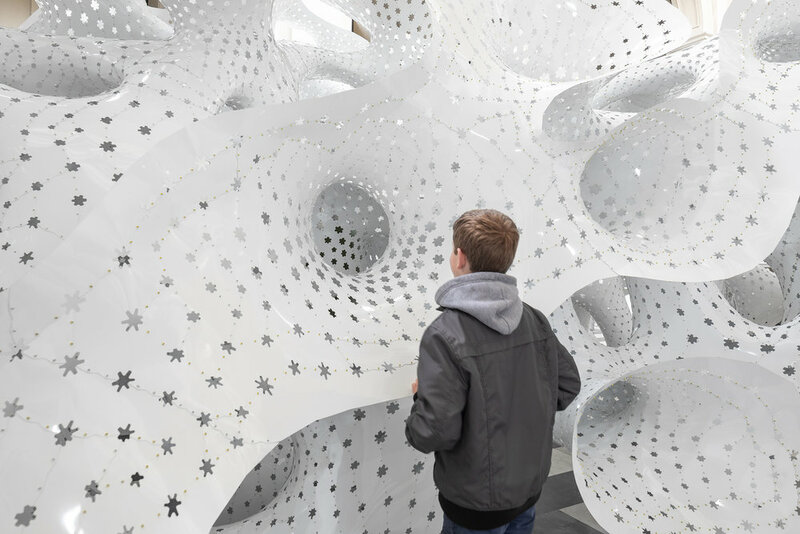 This intricate experience has the sense of floating through a dreamy coral-like structure, and the derive takes over any sense of recognition of its individual elements. From several thousand individual parts, 570 components are pre-assembled in 40 modular sections. The four metre-high structure can be taken apart and reassembled in different locations, realizing a lightness beyond its material quality and into a paradigm of agile architectural production.